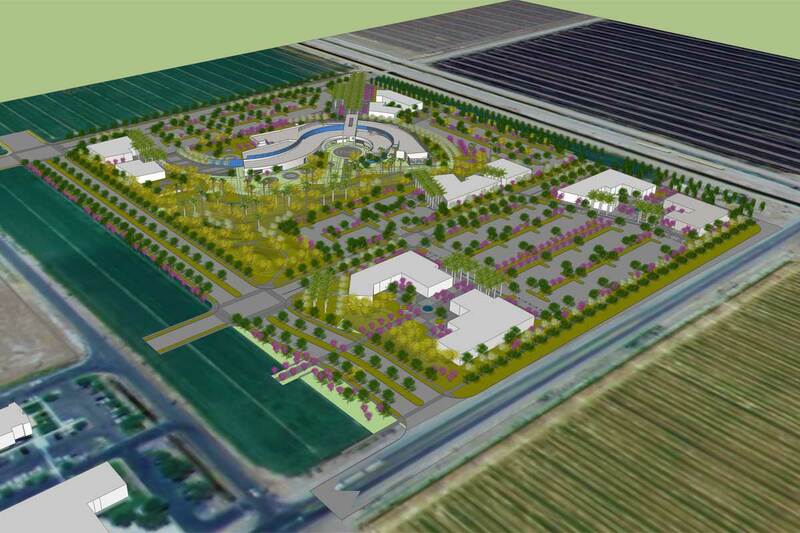 landLAB collaborated with HMC Architects, and the Imperial County Office of Education on the Campus Master Plan for the new educational campus located in El Centro California. 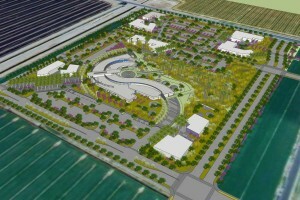 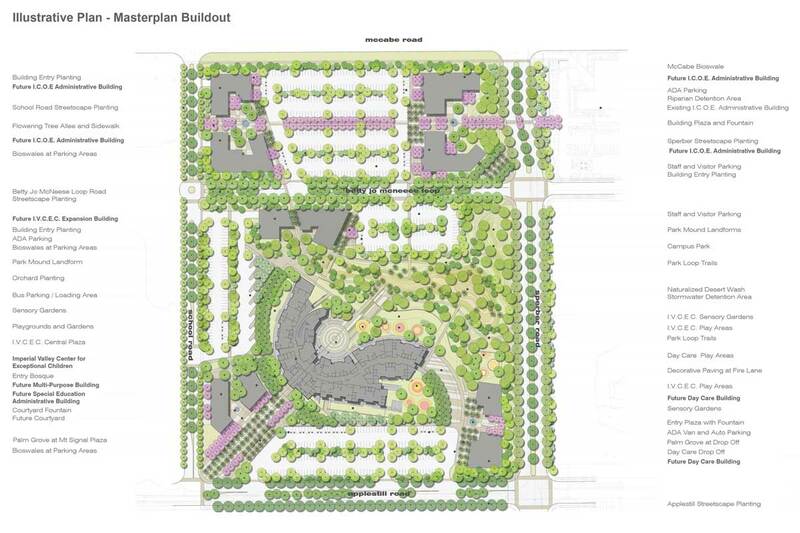 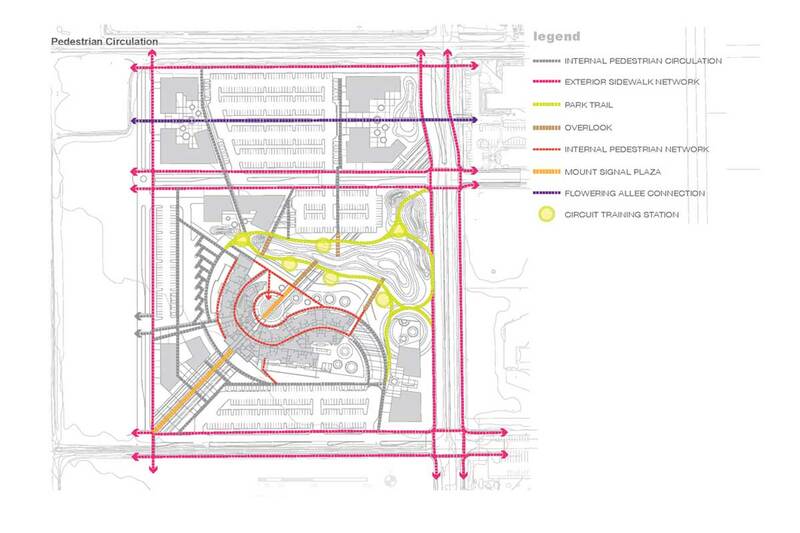 The master plan connects the existing administration facilities with the new campus including pedestrian open space connections, plazas and courtyards. 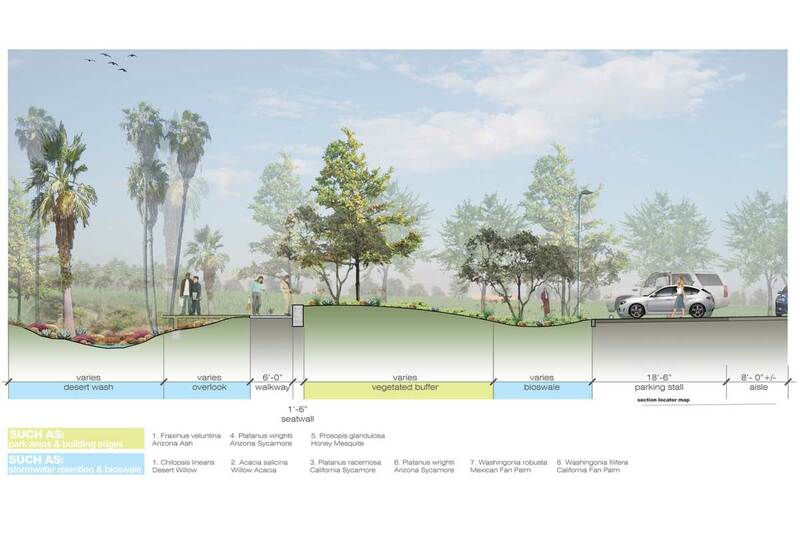 The new campus will demonstrate sustainable design principals including; reducing the heat Island Effect, passive heating and cooling, on-site storm water management, low-water use and California native landscaping, as well as the use of local, recycled and renewable materials. 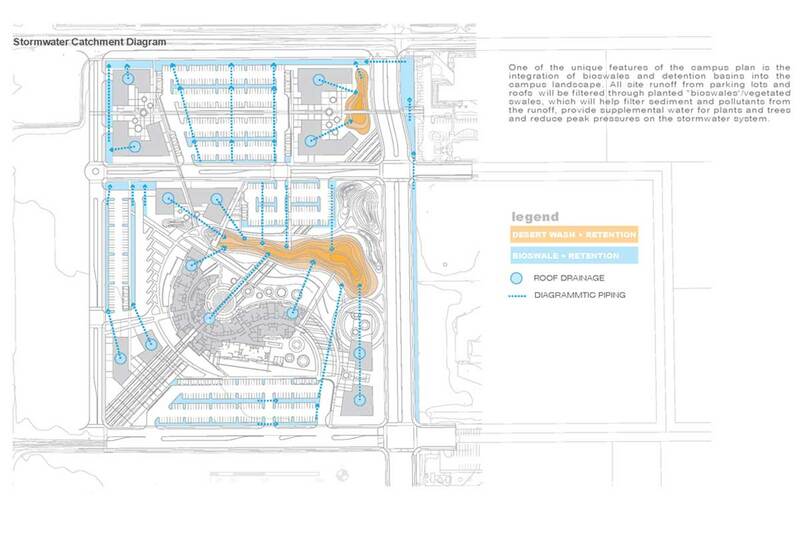 Buildings and associated parking lots were carefully sited to create courtyards and public spaces that are interconnected through a system of pedestrian walks and trails. 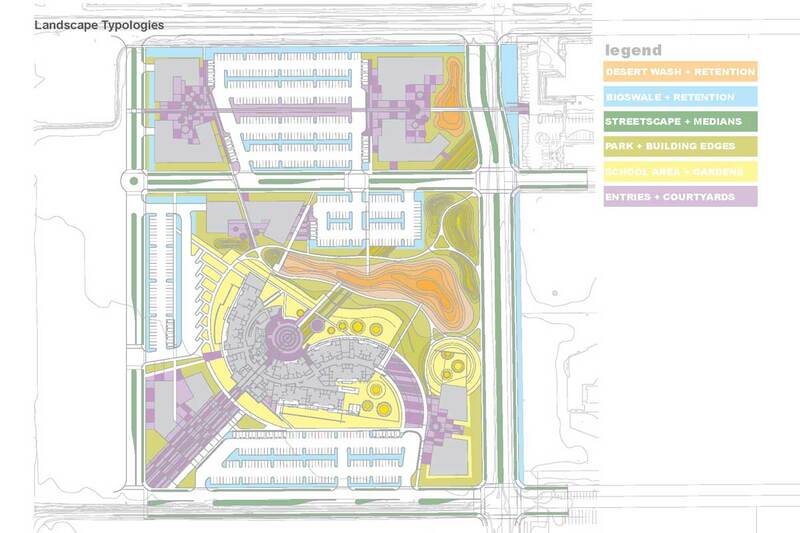 A large central open space adjacent to the IVCEC center provides passive recreational opportunities for the public, ICOE staff and students, while functioning as a natural storm retention and infiltration area.